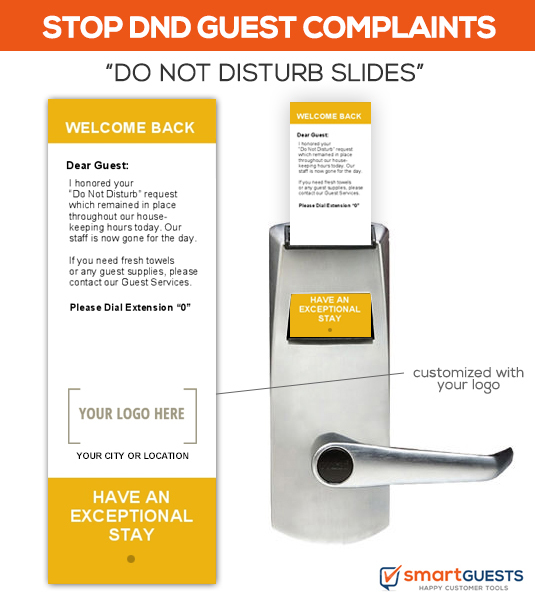 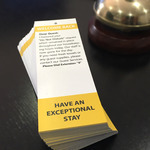 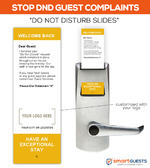 Size DND Slides 2" x 6"
One of the biggest challenges in any hotel is communication. 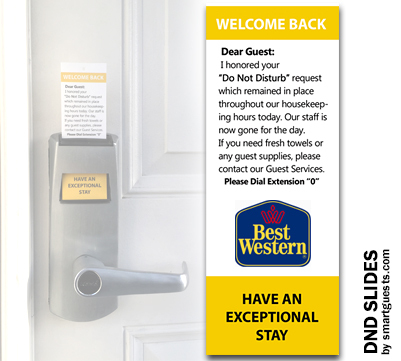 When guests leave Do Not Disturb signs on door and expect their room to be cleaned, but wasn't - we get a complaint. 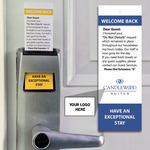 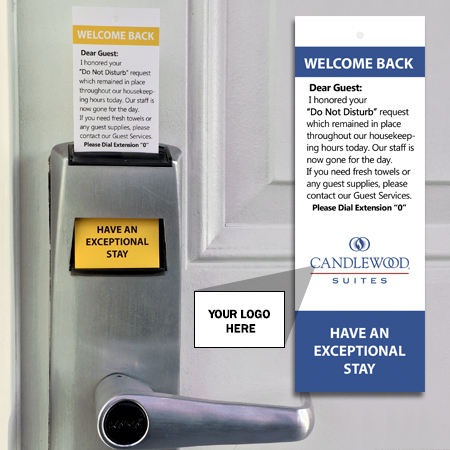 Stop these complaints by sliding this card into their door lock, which properly communicates you’re here to help them. 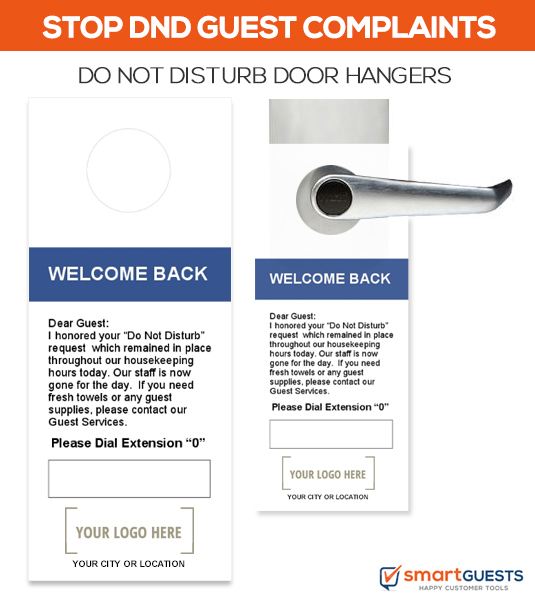 2) FREE SHIPPING - We Print & Ship! 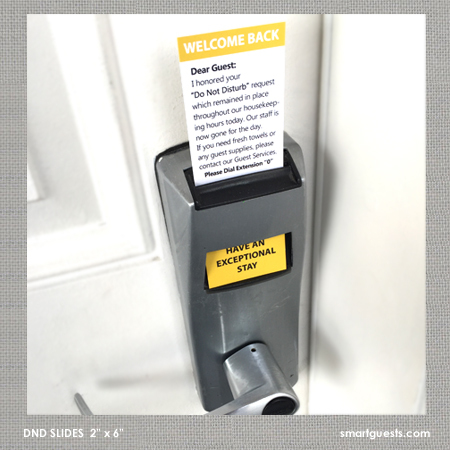 NOTE: DND Slide cards have a hole in center at bottom per design.